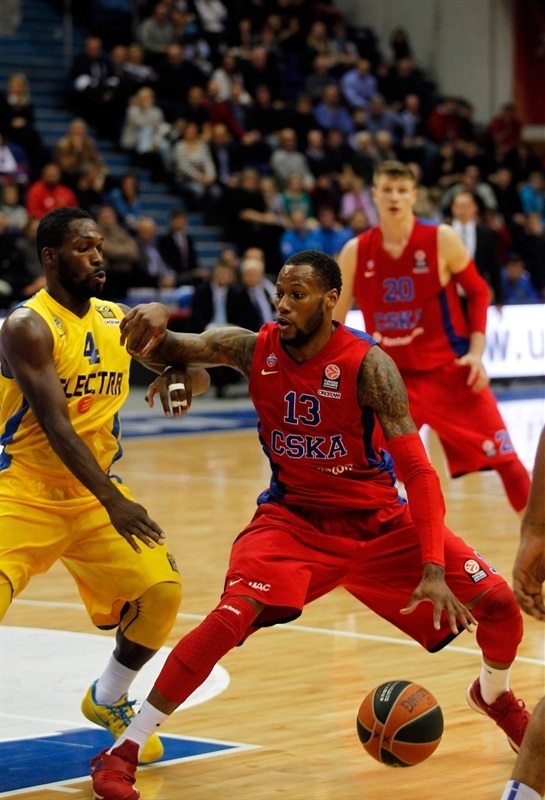 Revenge for a late loss in last season's semifinals was sweet on Thursday as CSKA Moscow blew out visiting champions Maccabi Electra Tel Aviv 99-80 to stay undefeated in regular season Group B. CSKA is now 2-0 while Maccabi's record fell to 1-1. The expected showdown turned into a runaway as CSKA could do no wrong in a 32-13 third quarter and protected big leads the rest of the way. 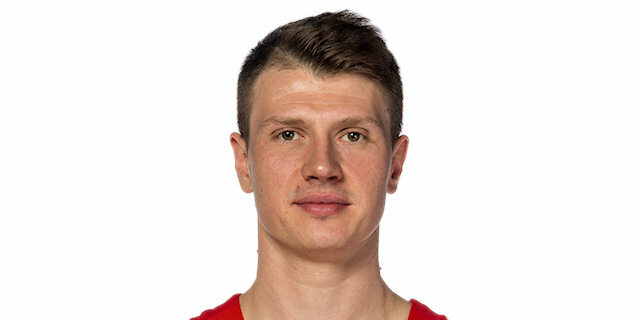 Andrey Vorontsevich was the catalyst early for CSKA and finished with a double-double of 13 points and 11 rebounds, leading CSKA's devastating 45-25 advantage on the boards. 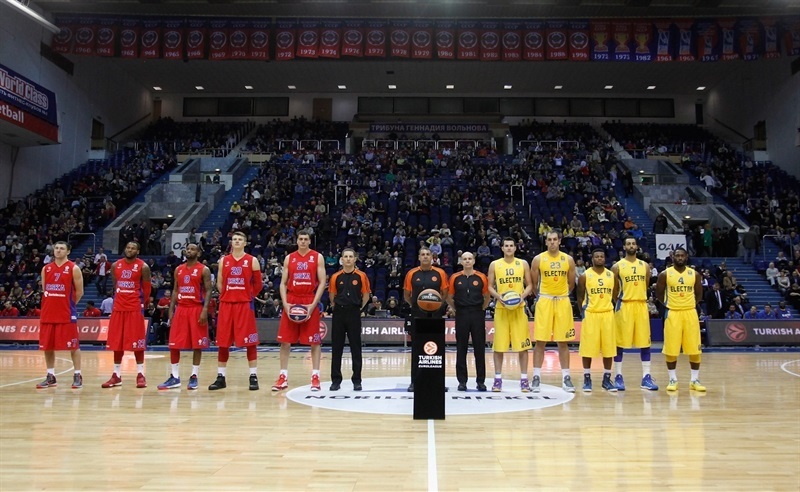 Sonny Weems led all scorers with 18 points, while Sasha Kaun scored 17. Milos Teodosic had 15 points and 11 assists. Maccabi, which had opened the game leading 4-11 but soon suffered a 10-2 run by CSKA, had a bright spot in Brian Randle, who had 18 points, while Sylven Landesberg added 14 and Guy Pnini 12. 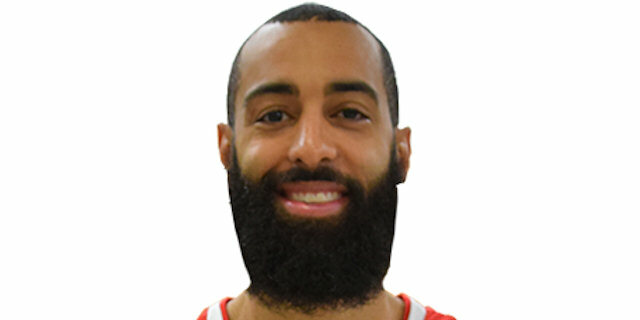 Both teams were short-handed, with Maccabi having travelled without Devin Smith or Alex Tyus, just as Viktor Khryapa, Manuchar Markoishvili and Demetrius Nichols were in street clothes for CSKA. 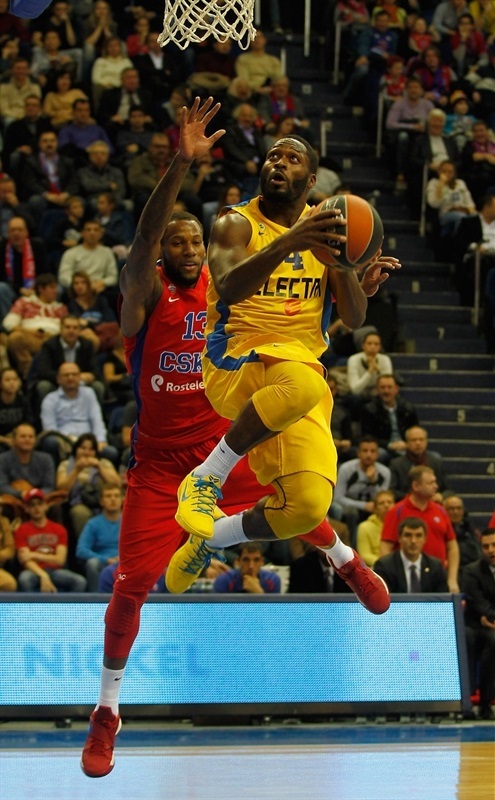 Maccabi started the game in style, with Jeremy Pargo's slick pass to Randle for a transition dunk. 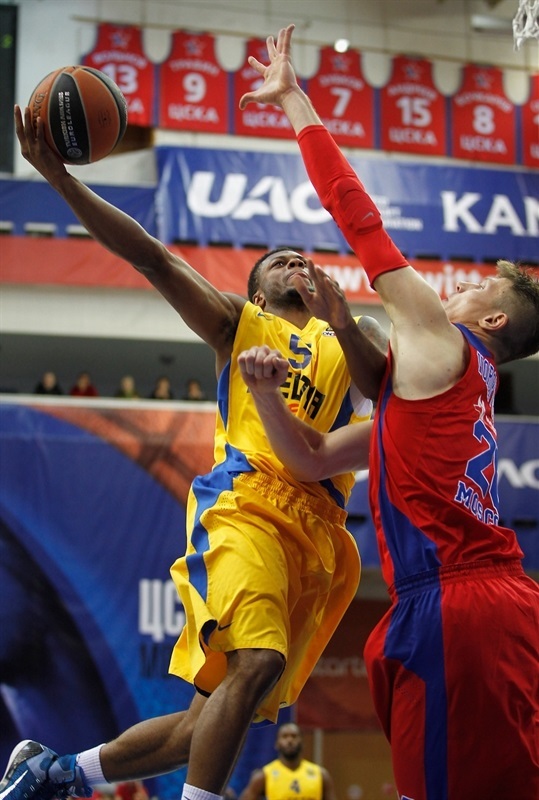 Pargo swished his first three-pointer, too, but was immediately answered from the corner by Vorontsevich. After Marcus Haynes drilled a jumper, Pargo and Randle repeated their earlier fastbreak play from a longer distance. 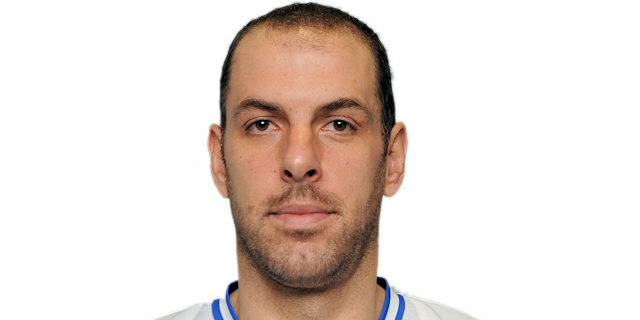 By the time Aleks Maric joined the scoring with a put-back, Maccabi was up 4-11 and CSKA needed a timeout. Teodosic came off the bench to restart CSKA's offense with a layup to which Weems added a fastbreak basket off a block by Vorontsevich. 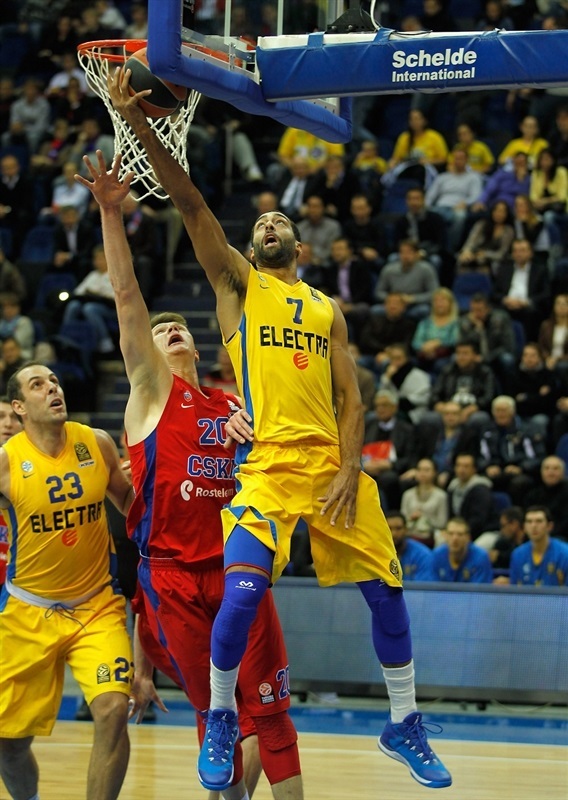 Despite a jumper by Pnini, Kaun scored a second-chance basket and Vorontsevich nailed a deep two-pointer for CSKA. And when Kyle Hines downed free throws, the hosts were ahead 14-13 after a 10-2 run. 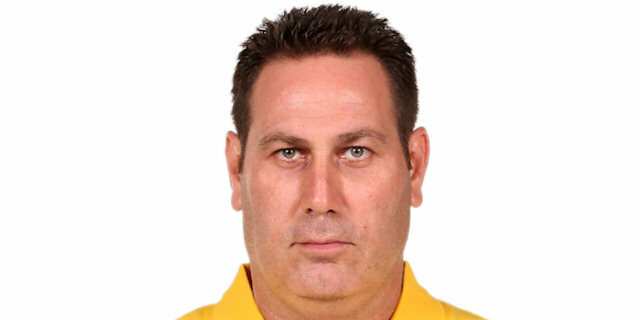 Maccabi needed new scorers, so Landesberg and Yogev Ohayon filled the bill. After Hines completed a three-point play, Teodosic dropped a mid-range shot and Vorontsevich hustled to put back his own three-point miss as CSKA pulled in for a 21-19 lead after 10 minutes. Aaron Jackson drilled a triple to open the second quarter for CSKA and Teodosic soon fed Weems for a backdoor reverse to make it 26-19. 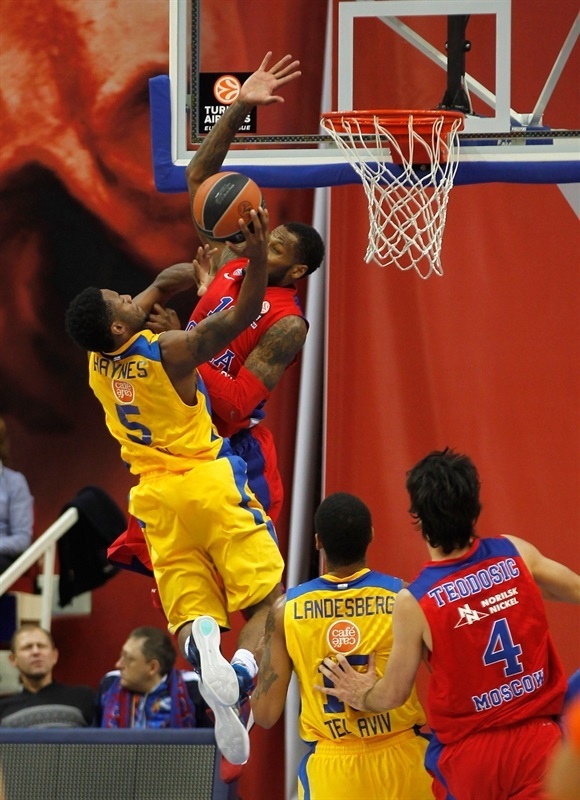 Pargo returned to hit Maric for his own reverse, but Teodosic answered with a catch-and-shoot triple. Randle matched that with a three-point play, then added a tip-in before Weems drilled a triple. When Randle made it 7 points in a row for himself, it was 32-28. After Kaun and Landesberg exchanged inside baskets, Pnini got Maccabi within one point on a three-pointer, but seconds later, Teodosic did the same. The long-range shooting contest continued with another by Pnini from almost the same spot that Weems answered from deep to make it 40-36. Teodosic found Jackson for another backdoor reverse before Landesberg copied Pnini from the same wing for a 42-39 scoreboard. Weems drove untouched for a splendid slam before Sofoklis Schortsanitis got his first points at the foul line. But after his great offensive rebound let Weems score again, Vorontsevich finished his great half with a basket inside for a sudden seven-point difference, 48-41, for CSKA. Teodosic and Vorontsevich combined to start the second-half scoring for CSKA, while Ohayon challenged inside to get Maccabi's going. Teodosic found Vitaly Fridzon alone for a corner triple in transition and the game's first double-digit lead, 53-43, to which Kaun quickly added a layup and free throw. Vorontsevich downing 2 free throws and Teodosic drilling a second-chance triple made it a 61-43 advantage and an 13-2 start to the second half for CSKA. Landesburg stopped Maccabi's offensive slide, but Kaun answered with a three-point play and a slam for a 68-45 advantage. CSKA kept pouring on the points with a Teodosic layup, triples by Jackson and Fridzon, plus a reverse by Hines that made it 76-54. The hosts didn't stop until they had scored 32 third-quarter points and led by 80-54 when it finished. Maccabi showed some fight to open the fourth quarter as Randle scored a third-chance basket and Landesberg struck from downtown. Pavel Korobkov joined CSKA's scorers with the first of his 2 fourth-quarter triples but Randle matched him with a great shot in a crowd of defenders plus the free throw that came with it. CSKA then entertained the crowd with a high-flying alley-oop from Teodosic to Kaun, while Zozulin blasted a three-pointer at 92-69. After that it was only a question of time and what, if any, influence the big difference would mean at the end of the regular season. 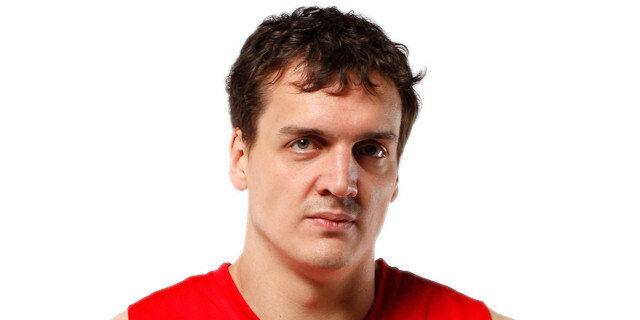 "Congratulations to the team, players and big thank you to the fans! We really felt their support, got some energy from their applause and songs. Most of the game we played focused and dedicated. You can’t describe everything by the numbers but today you can explain a lot by team ranking, our rebounding advantage, good shooting. We did not start well, we had problems with the opponents’ matchup zone, but then we started splitting it and getting good shots." "The game can be separated into two parts. We were in the game in the beginning but then CSKA turned the game around. We were soft and completely lost control, allowing the opponents to run, to rebound, to shoot. CSKA shot really well from outside making 52% of their attempts and scoring on 13 three-pointers. It is really difficult to beat a team when it shoots like this. We have to learn how to play on this level, to play tough from the first to the last minute. We could play better but we had no defense tonight as we allowed 99 points." "In the first half we started bad. At several moments, we missed chances on defensive rebounds and pick-n-rolls. Then we improved, made our defense better and since that moment did not let the opponent to make easy shots. We did our best in offense." "Of course, we played today against last year's champion. 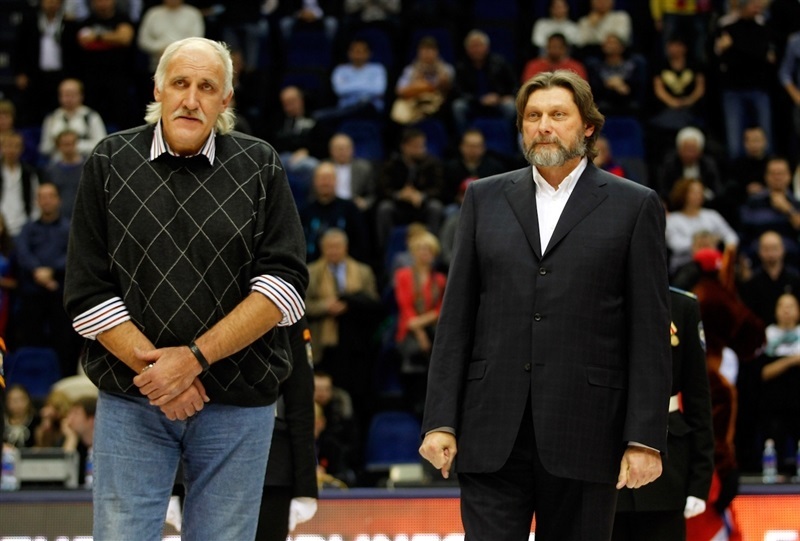 We had lost against them then, so of course we wanted to beat them in our first Euroleague game at home. That was motivation for all our guys. We improved as the game went on. We played our basketball from the defensive end and start running, and you saw the result." "We moved the ball well, they attacked us with open shots and offensive rebounds. They are big athletic team and they made easy points from open shots." "Tonight we got a good start that made the opponents to take a timeout. Then everything had changed. 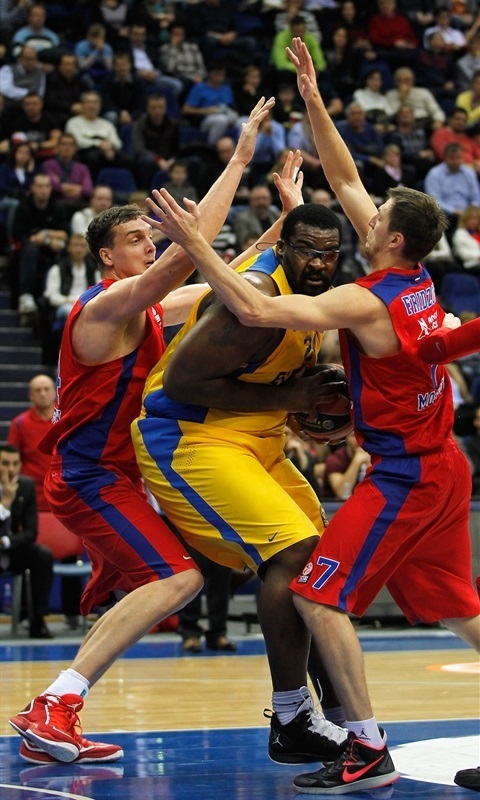 The athletes of CSKA controlled the game. We tried to fight but were down by 5 or 6 points for a while. They have great players and they made big shots. Defensively, we didn’t approach the game like we needed to from start to finish." 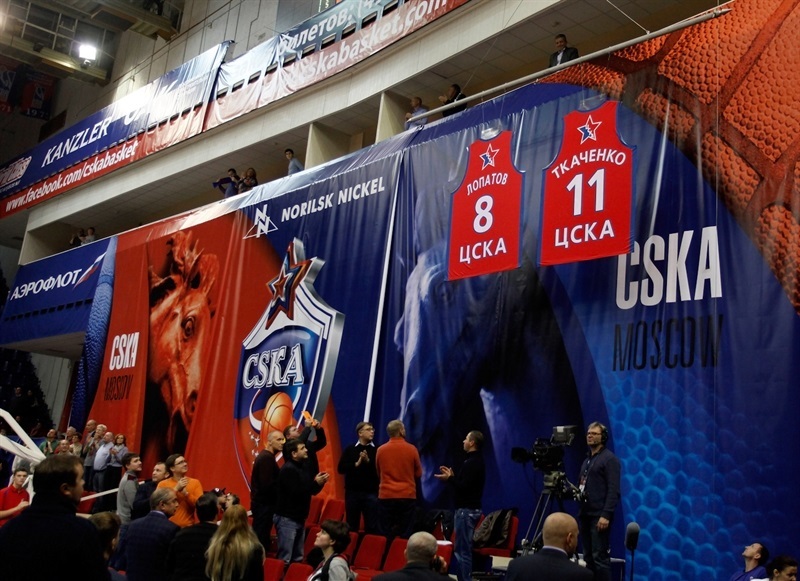 Playing legends Vladimir Tkachenko and Andrey Lopatov had their jerseys retired Thursday by CSKA Moscow.